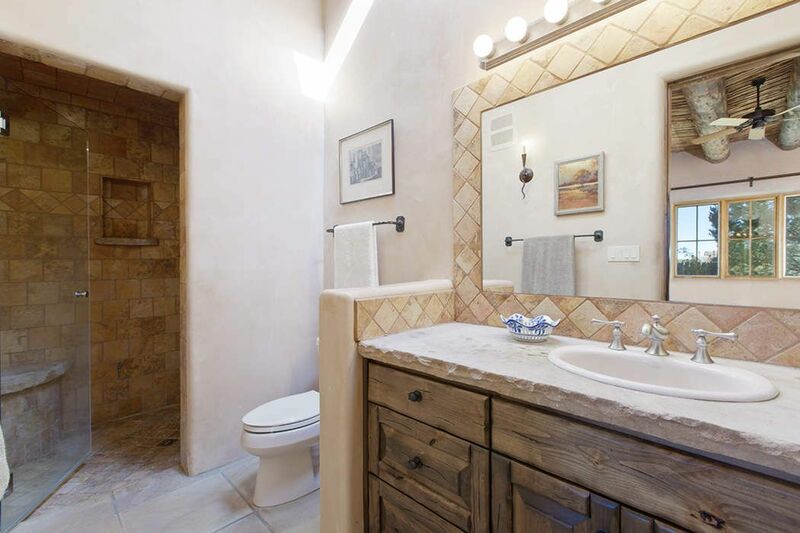 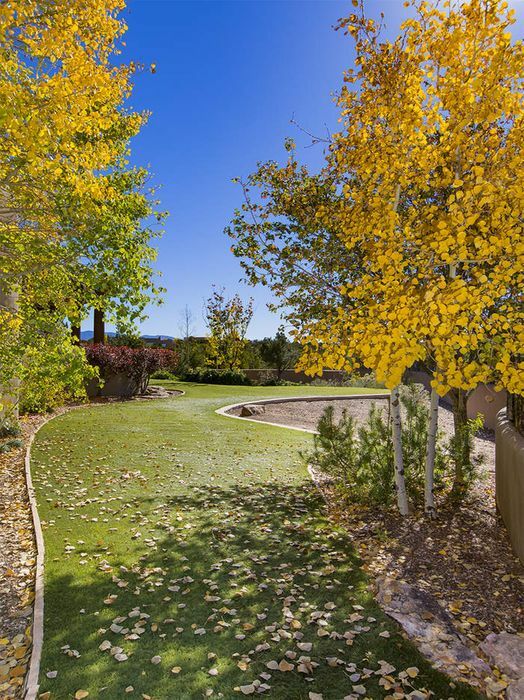 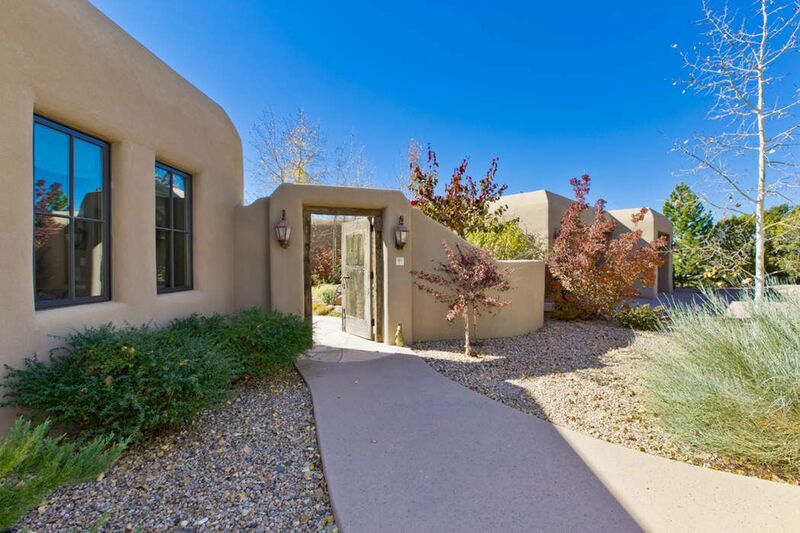 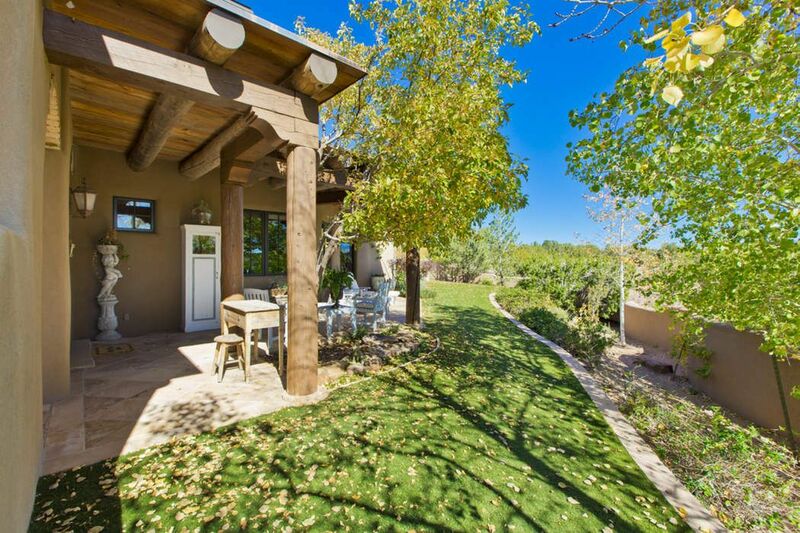 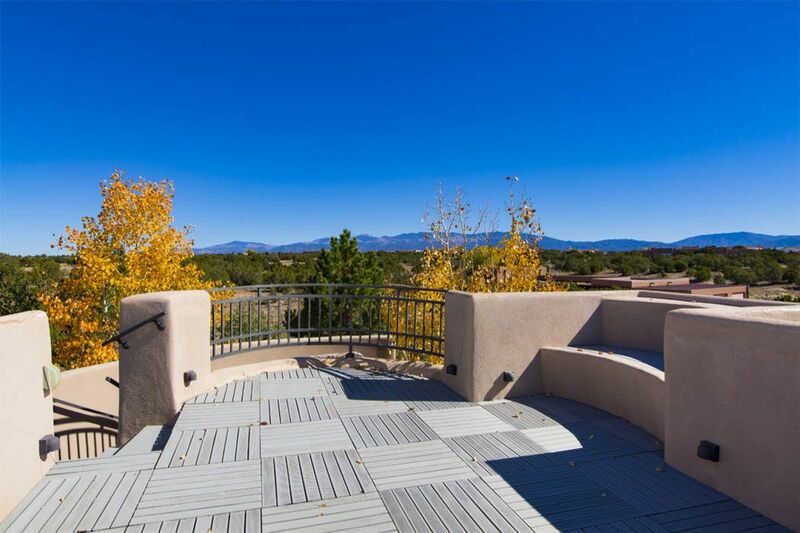 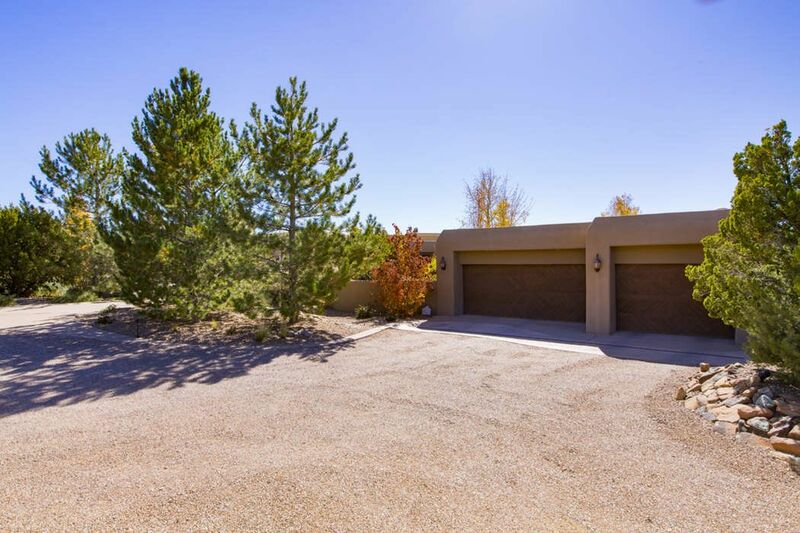 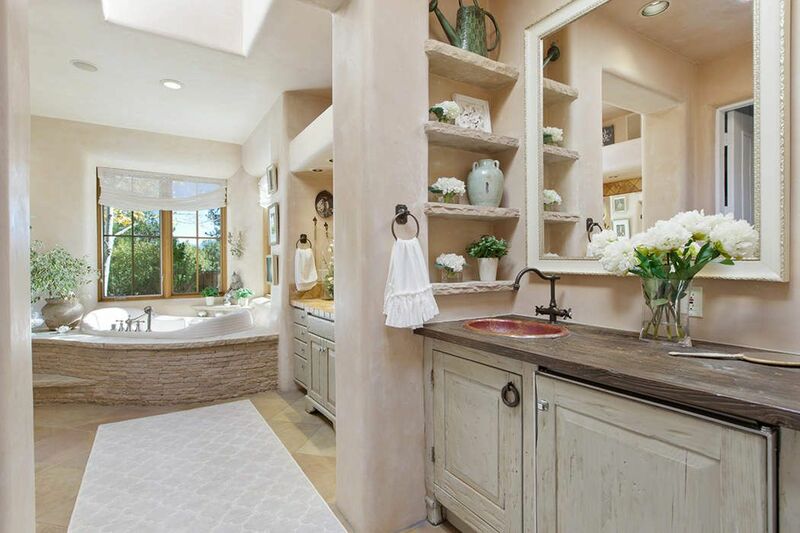 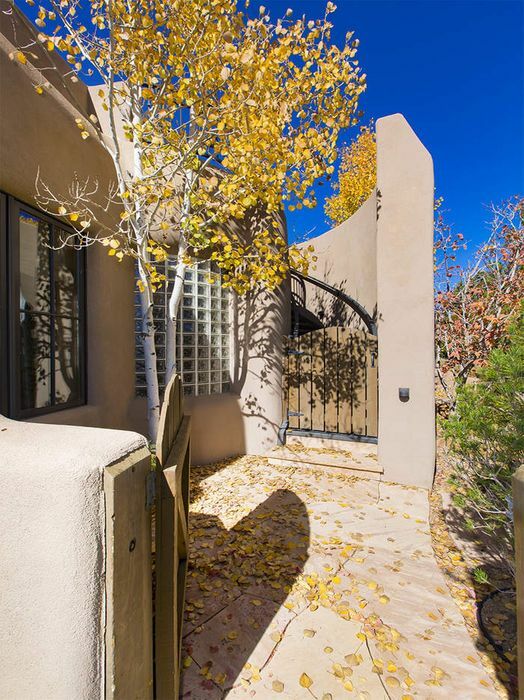 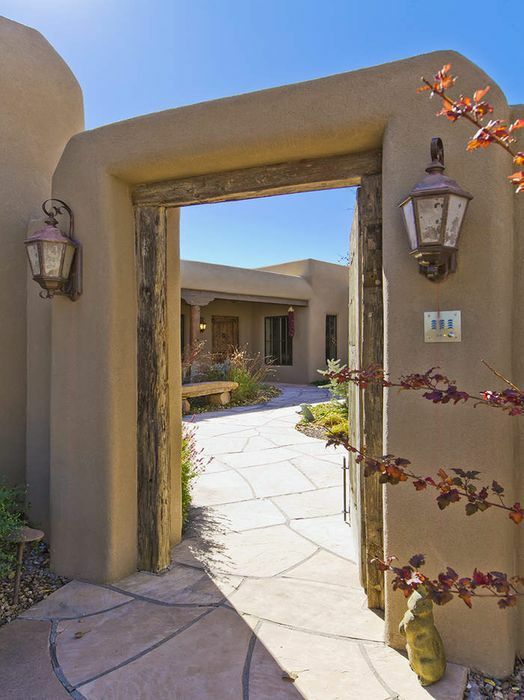 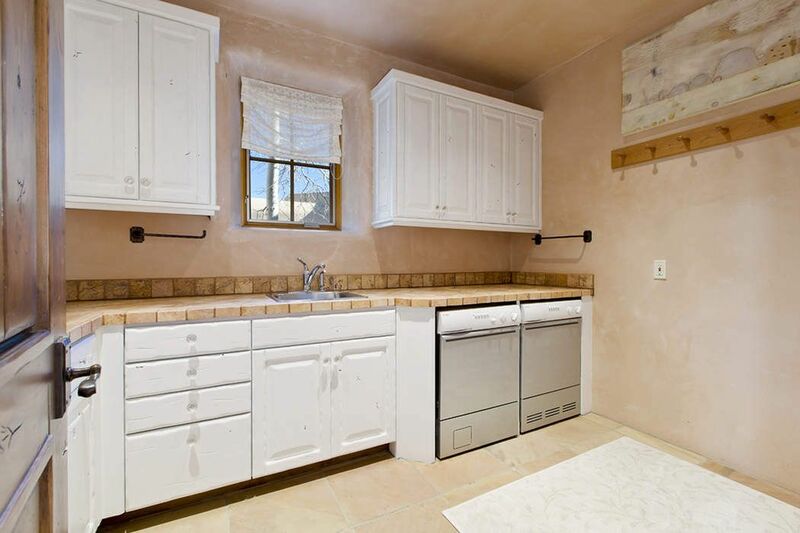 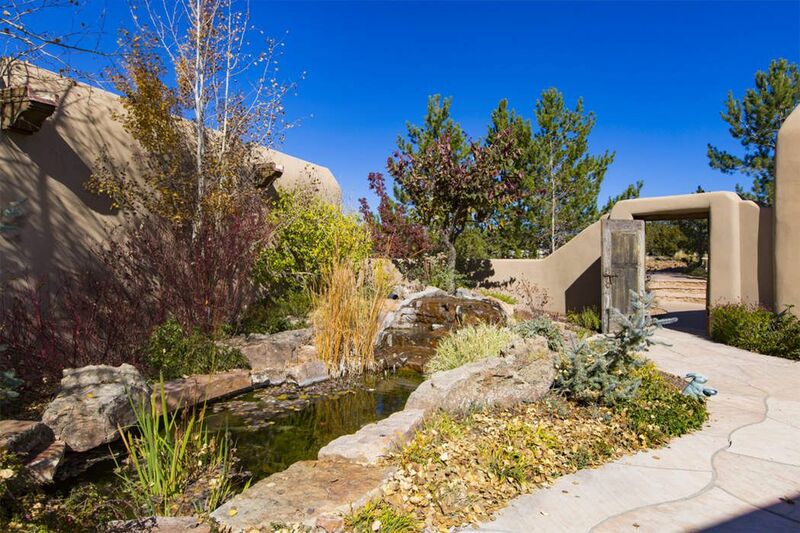 6 Mustang Mesa , Santa Fe, NM 87506 | Sotheby's International Realty, Inc.
$1,685,000 3 Bedrooms3 Full / 1 Partial Baths5,032 sq. 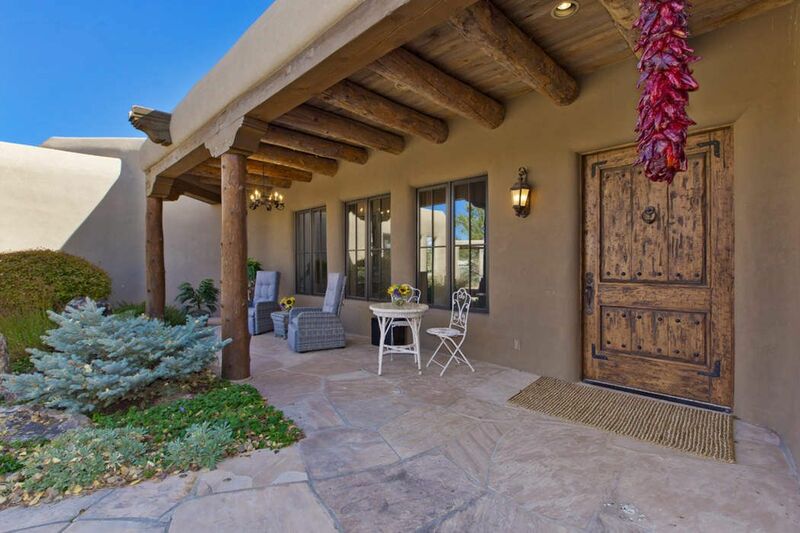 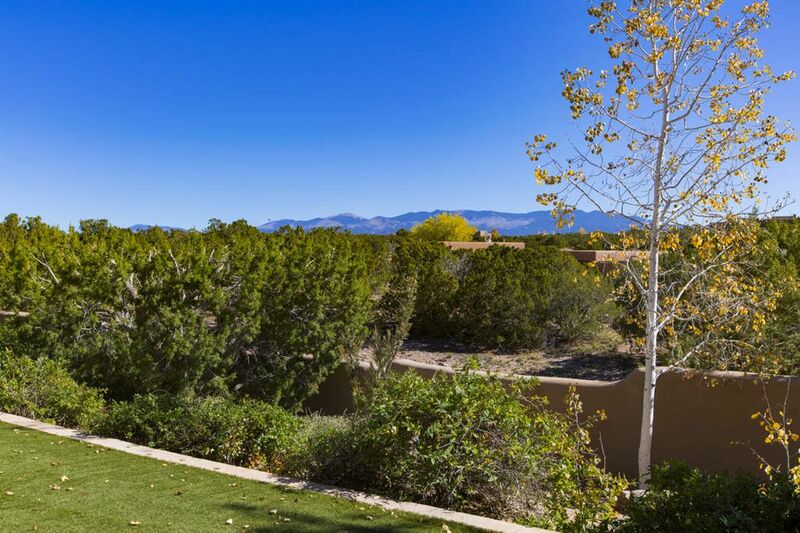 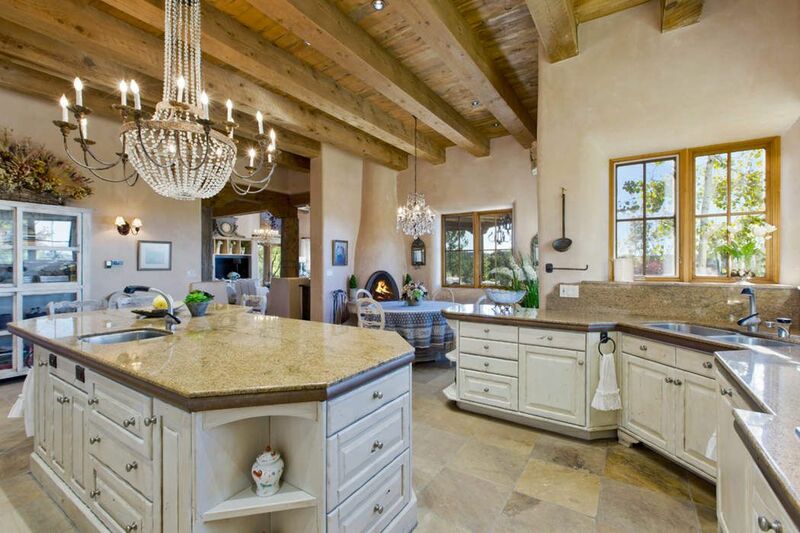 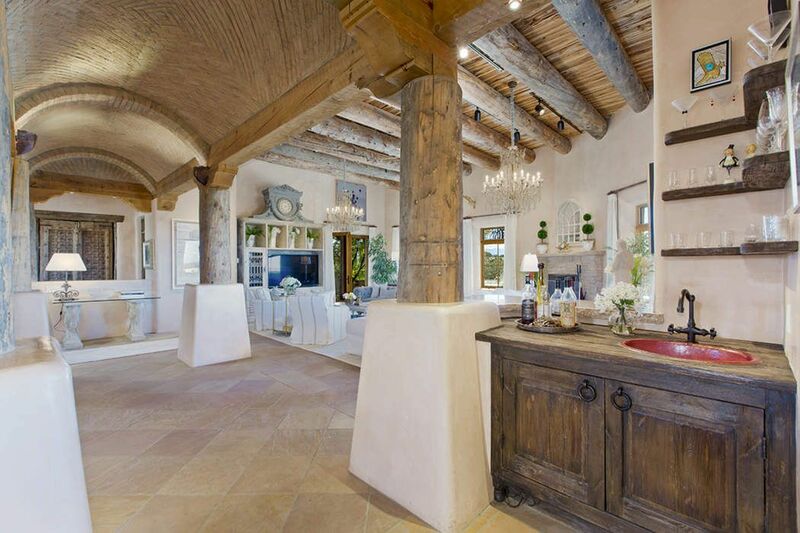 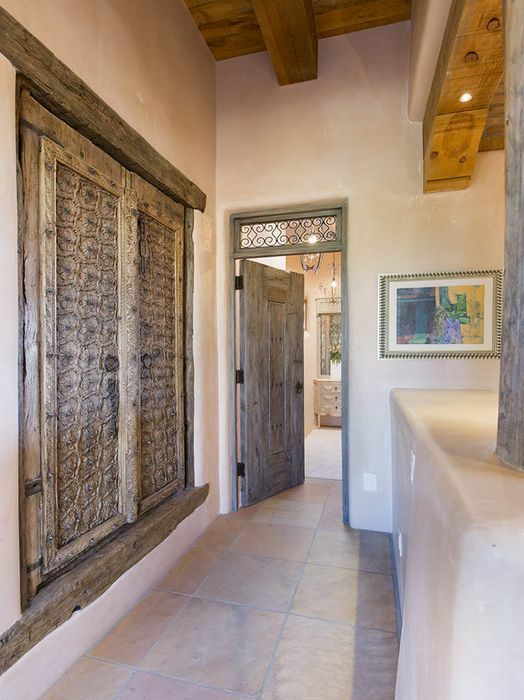 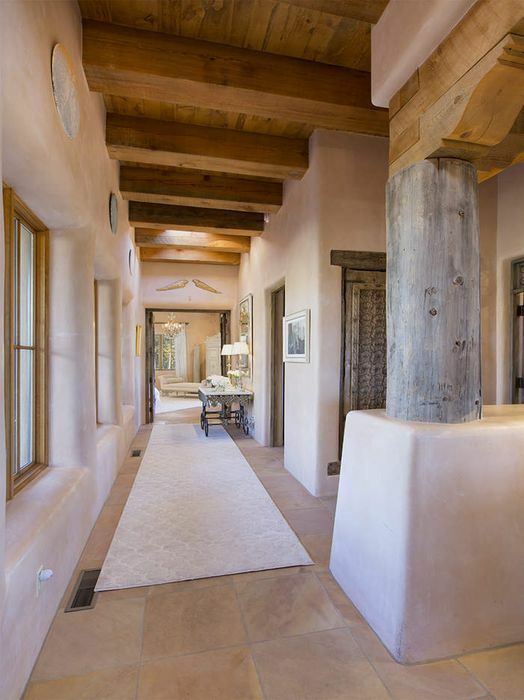 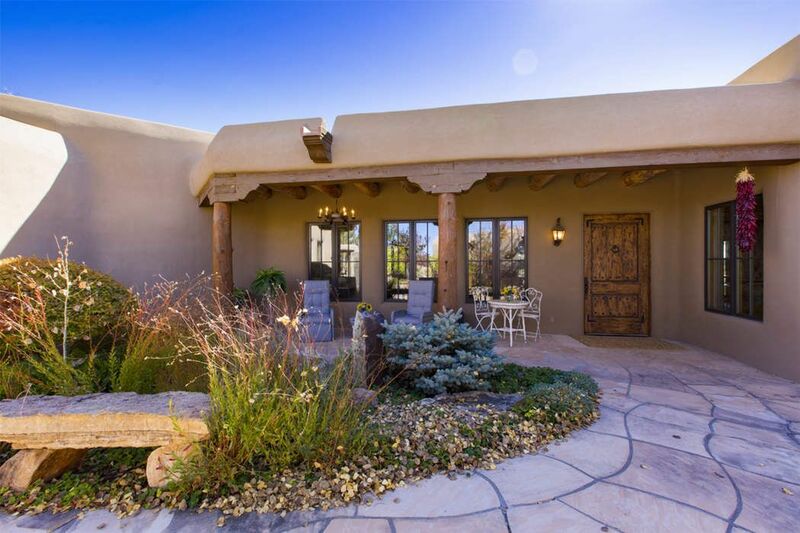 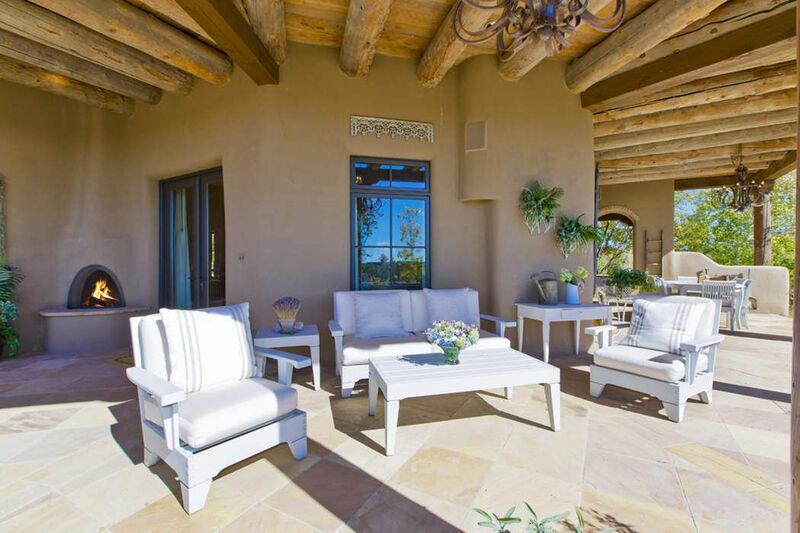 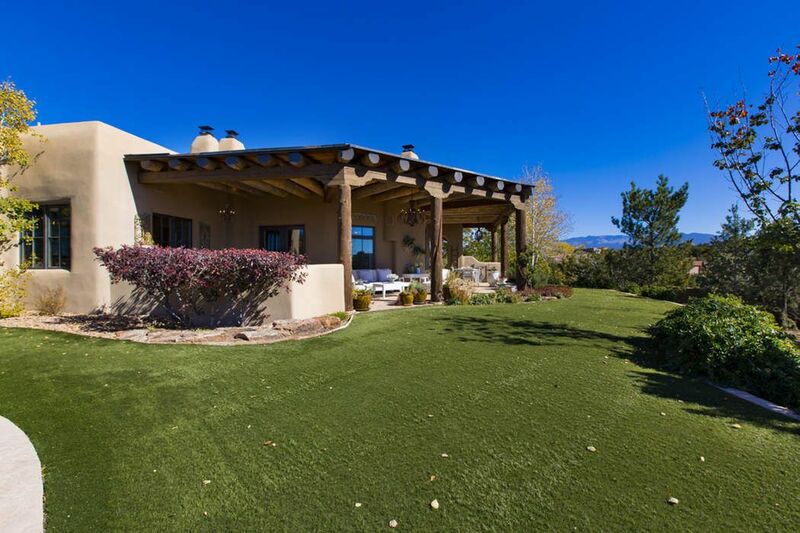 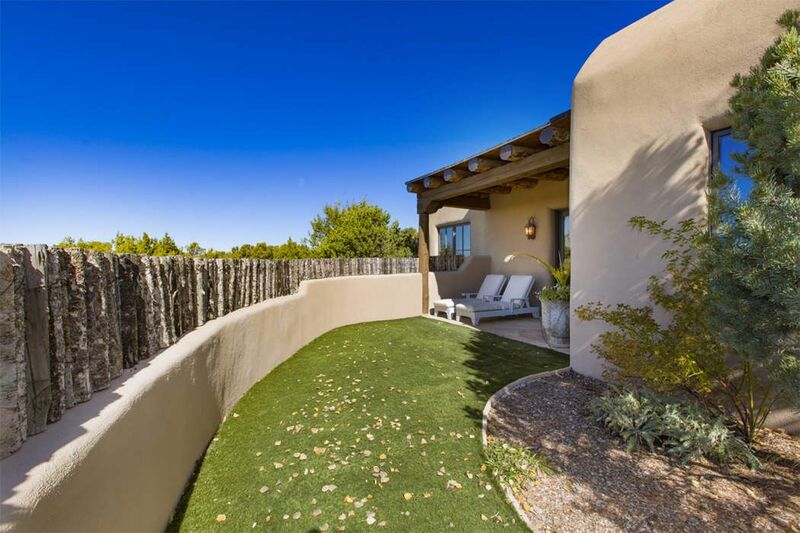 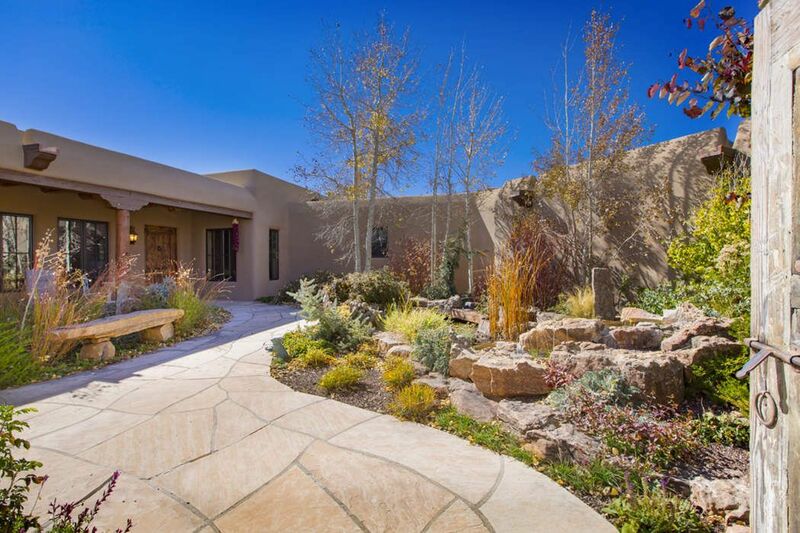 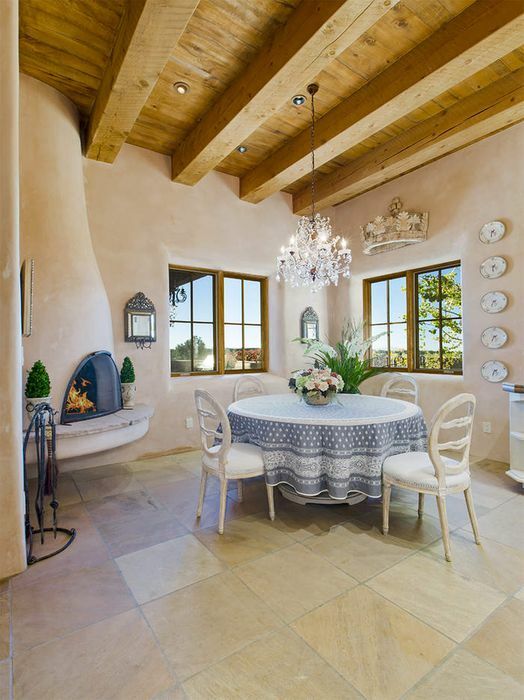 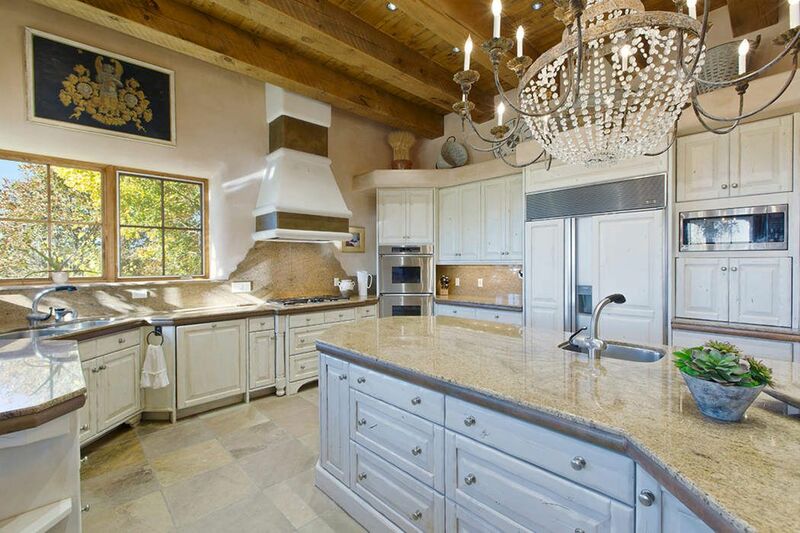 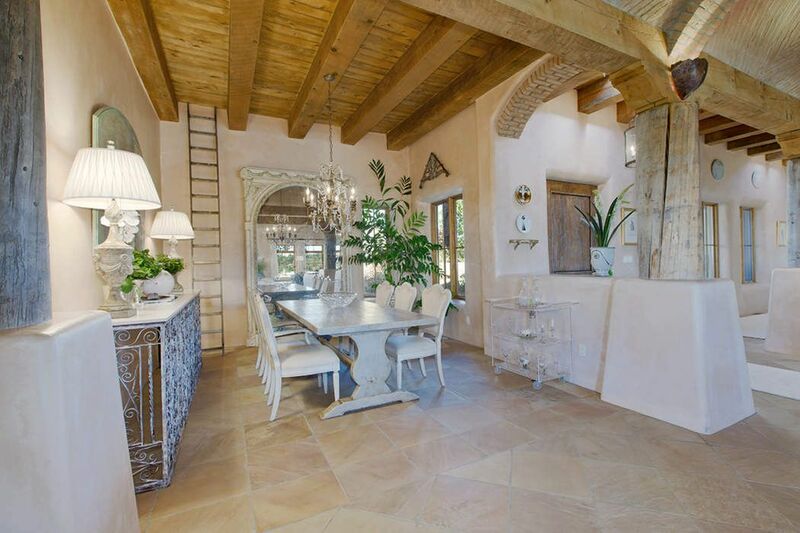 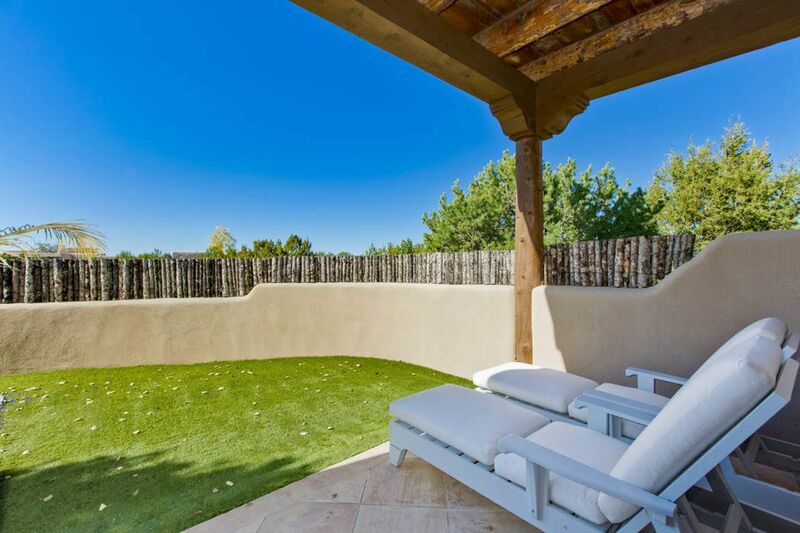 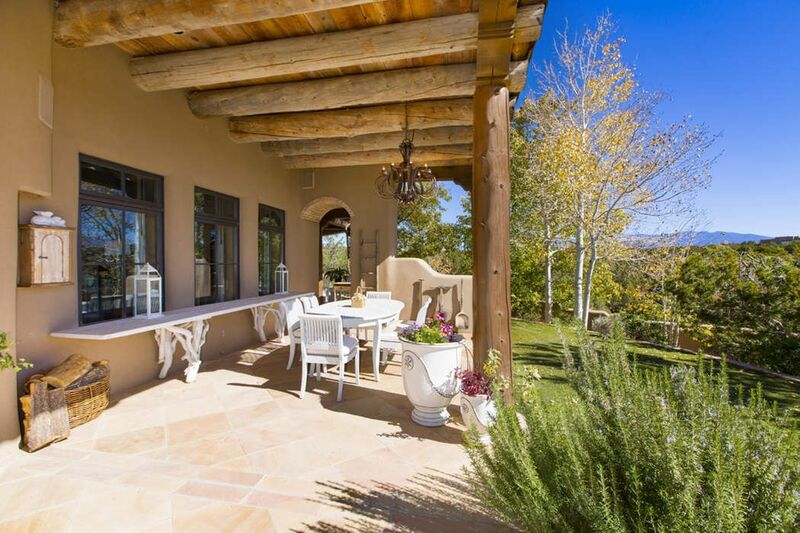 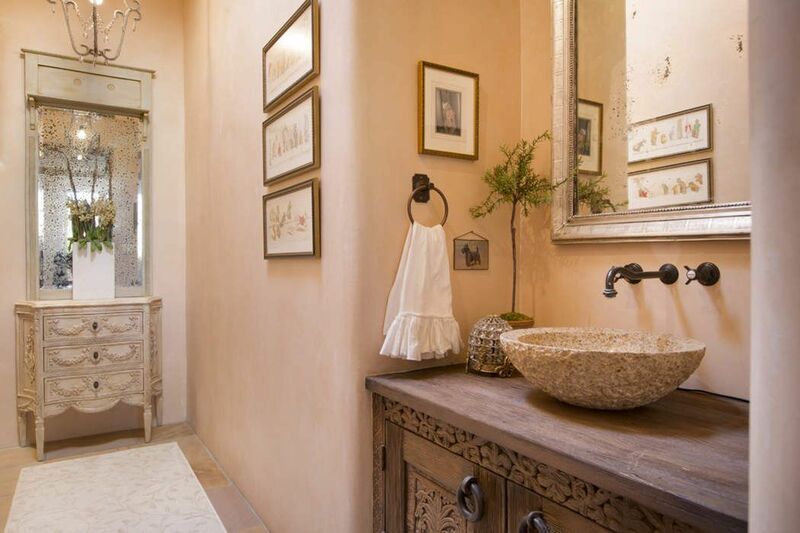 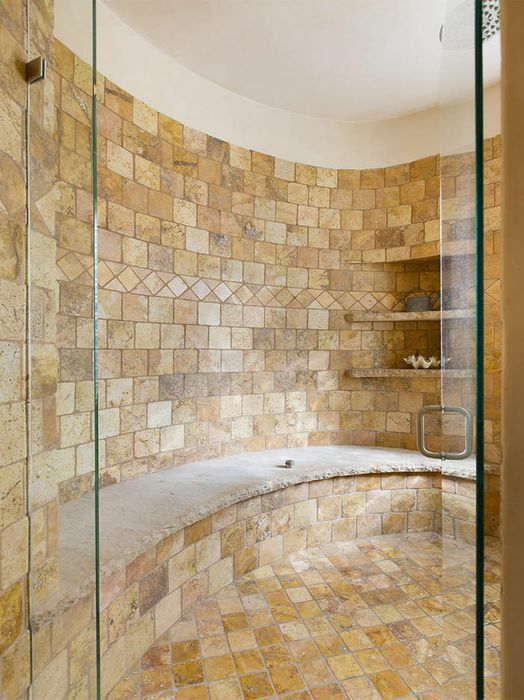 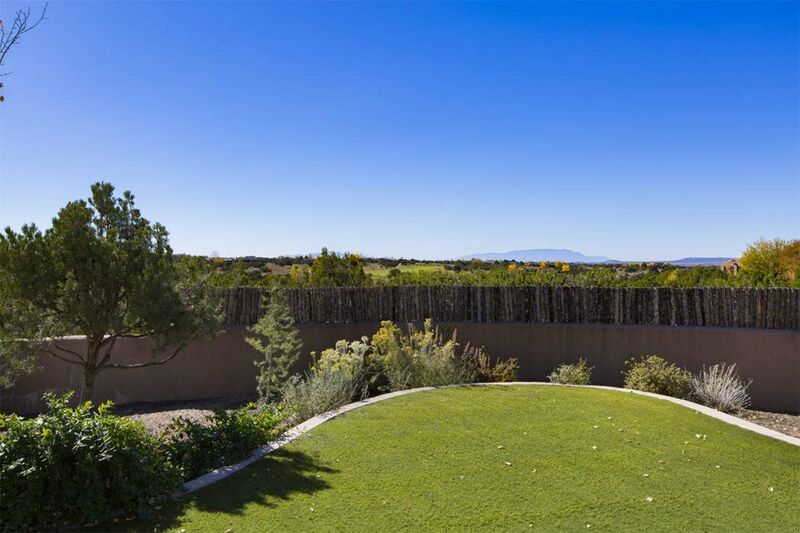 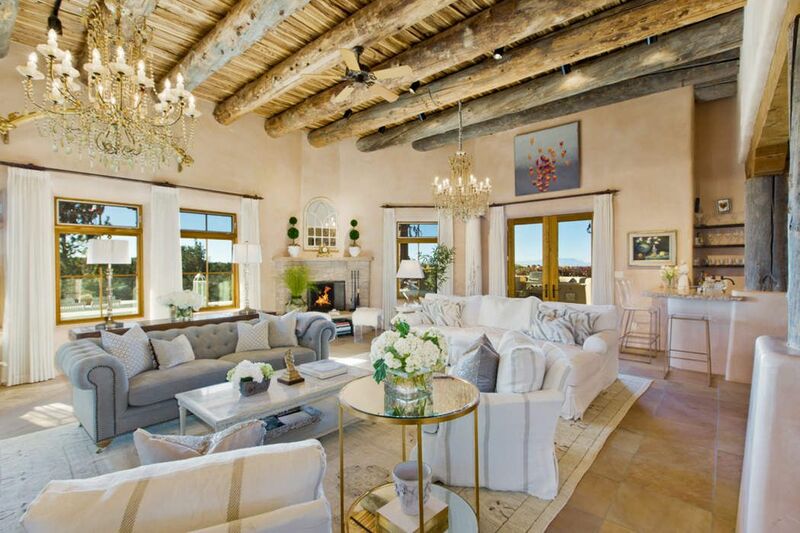 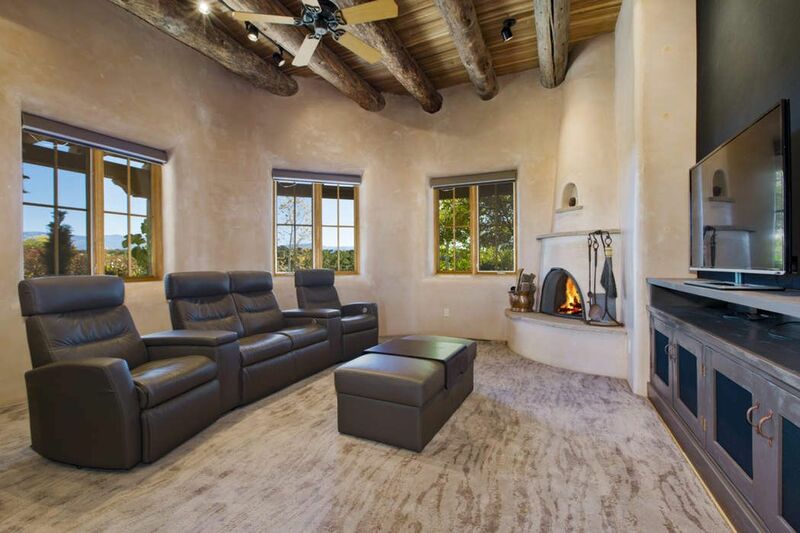 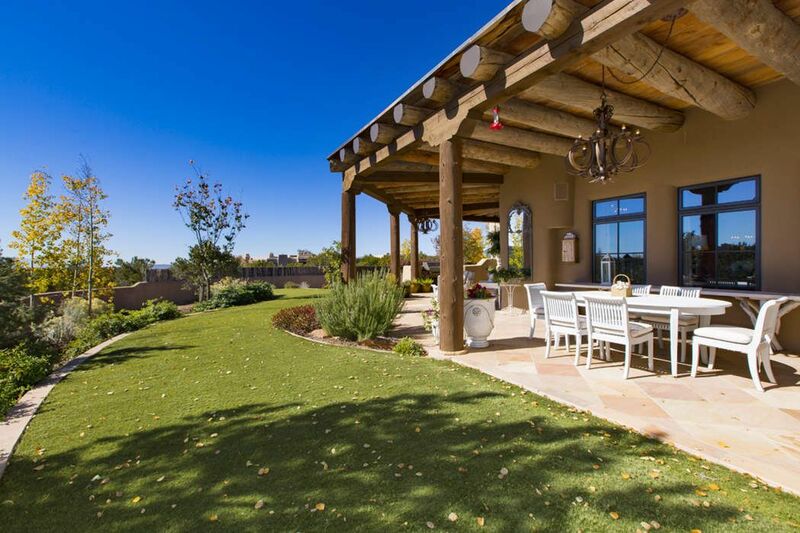 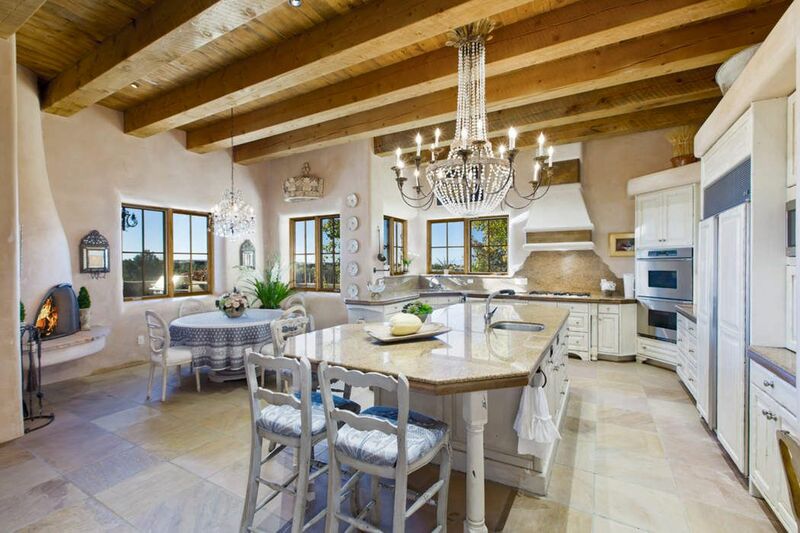 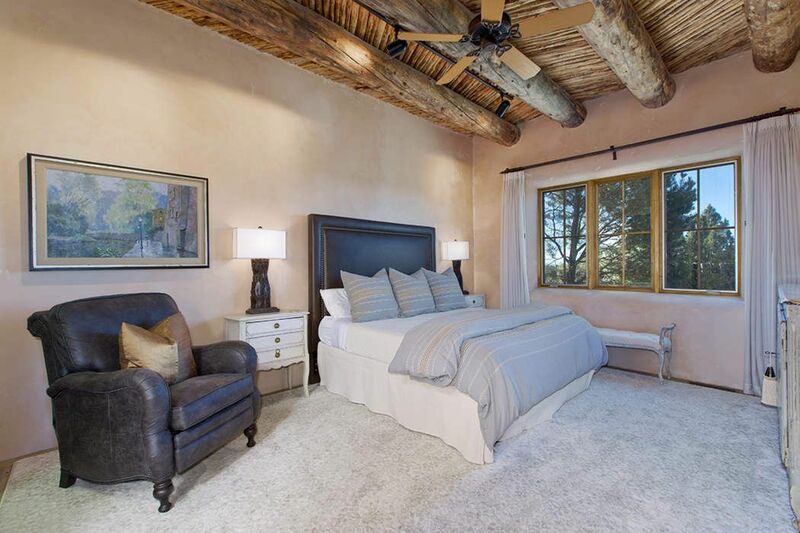 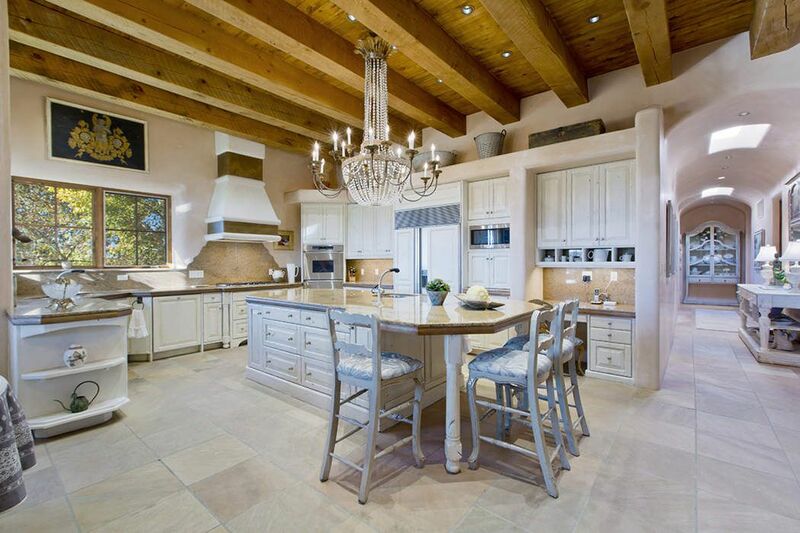 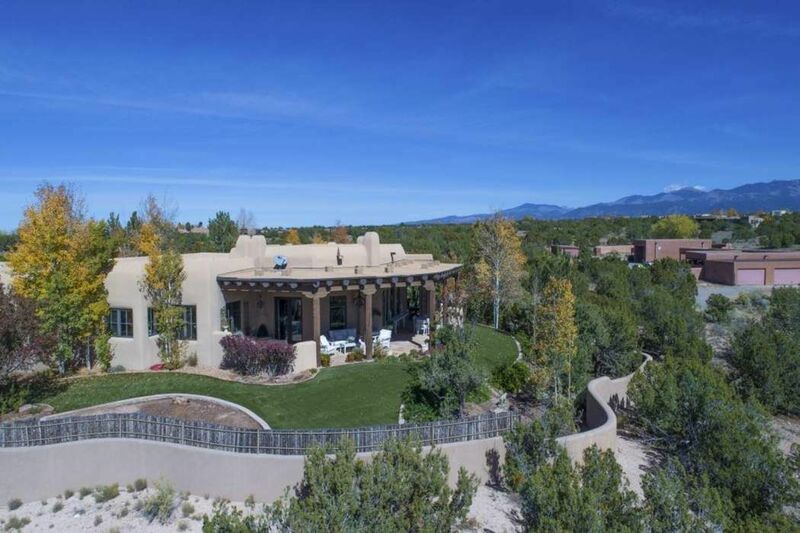 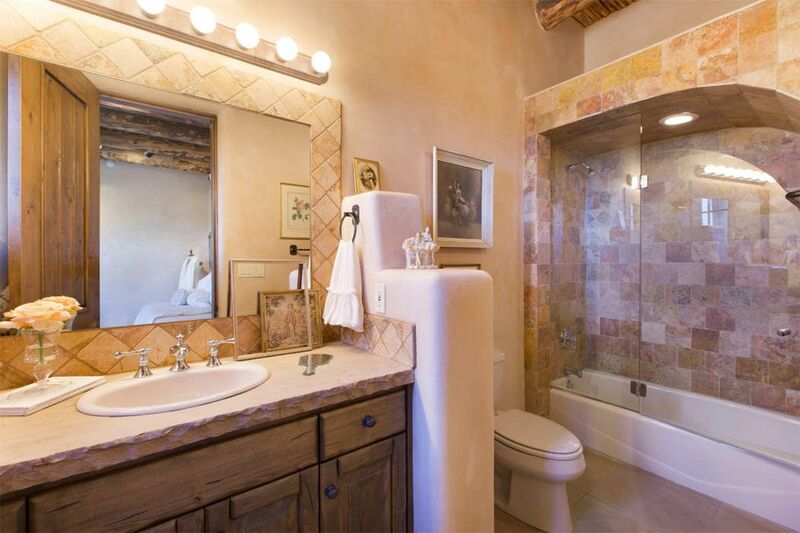 ft.
One of the most extraordinary residences in all of Santa Fe, this adobe masterpiece, perfectly sited on an elevated Sangre De Cristo and Sunrise Golf Course 2.4 acre view lot in the highly coveted Estates V.2 of Las Campanas, invites one to experience the glamour, but remain grounded in the authentic Santa Fe style. 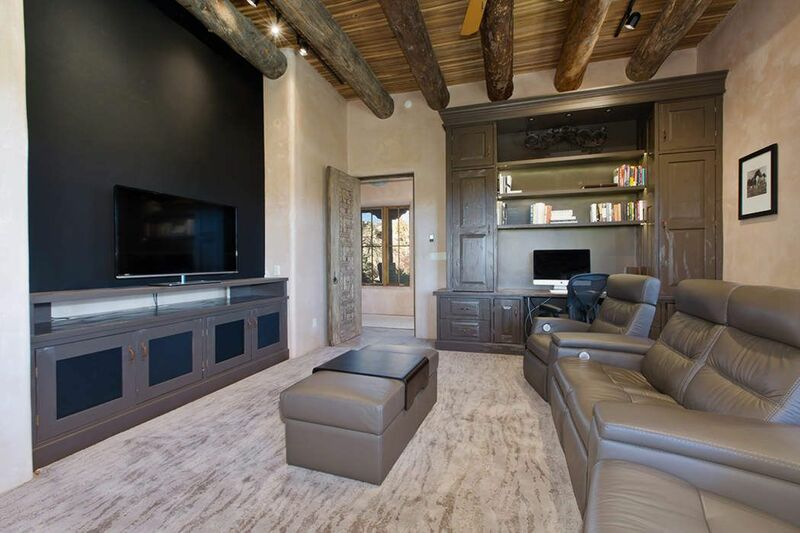 This elegant, single level residence without interior steps, offers three bedrooms with a separate office off the master suite and flexible second study/media room option. 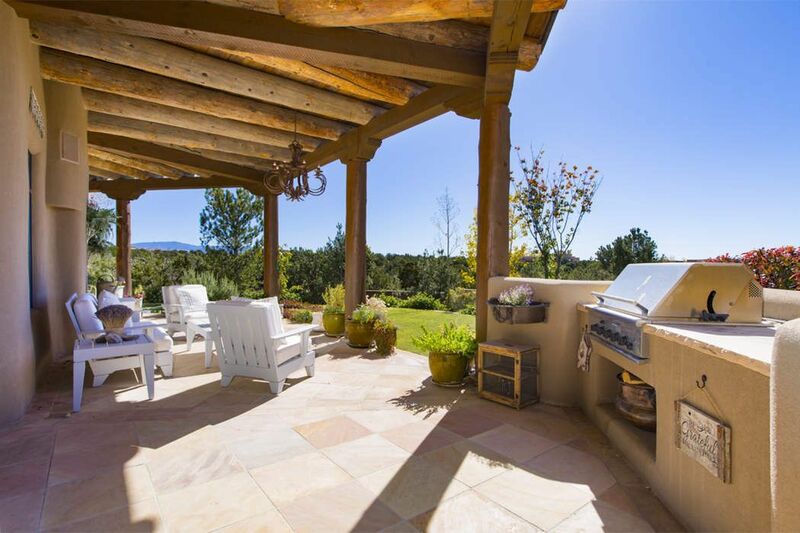 Attributes include an open concept, split floor plan with vast living and dining areas ideal for entertaining, a private master suite with Sangre views and luxurious master bath, a generous well-appointed eat-in island kitchen with a fireplace and Viking appliances, two private guest ensuites with its own portal and intimate outdoor setting, an exceptional outdoor living experience with an expansive portal running the length of the residence, and a fully enclosed yard and with vibrant landscaping in a park-like setting. 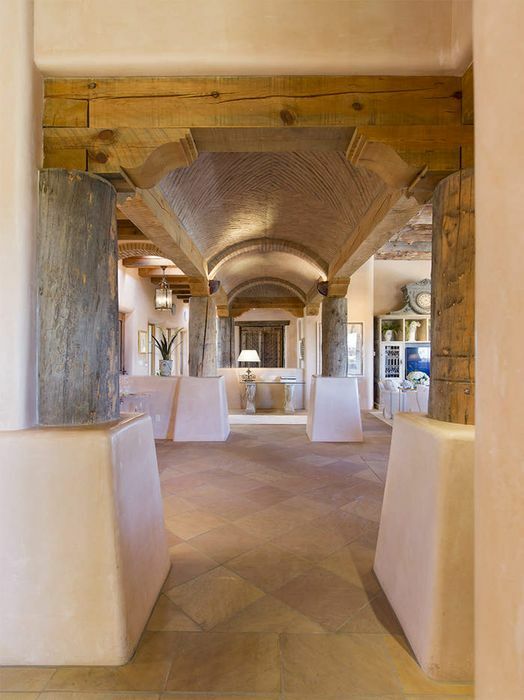 Additionally this residence features hand-troweled plaster walls, a unique Boveda-style ceiling, elaborate elevated ceiling detail complete with massive vigas and latillas, custom interior wood doors, flagstone flooring, a rooftop deck with surround views, central air conditioning, a front entrance Koi pond and a three car garage.